The trailer of Gautam Nanda has been widely appreciated all over and Gopichand was showcased in two different get-ups. 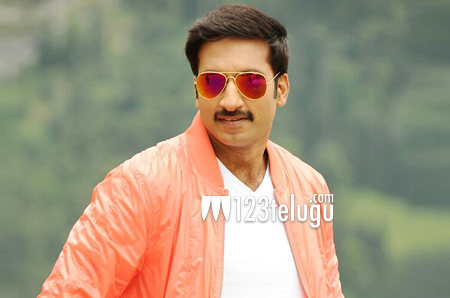 There is a talk that Gopichand is playing a double role in the film. Giving clarity about this, Gopichand in an interview, said that he is not playing a double role and his character only has two shades. He also added that he plays a rich businessman who changes his lifestyle for a specific target in the film. Sampath Nandi directs this film which has Hansika and Catherine Tresa as the female leads. S S Thaman scores music for this film which is produced by J Pulla Rao.